The must-have guide for any fan of number one New York Times best-selling fantasy author Tamora Pierce! Enter the world of Tortall in this audiobook guide, brought to you by the author who Sarah J. Maas says "shaped [her] not only as a young writer but also as a young woman" and whom Leigh Bardugo calls "the real lioness". As Tortall's spymaster, George Cooper has sensitive documents from all corners of the realm. When Alanna sends him a surprising letter, he cleans out his office and discovers letters from when King Jonathan and Queen Thayet first ascended the throne, notes on creating the Shadow Service of spies, threat-level profiles on favorite characters, Daine's notes on immortals, as well as family papers, such as Aly's first report as a young spy and Neal's lessons with the Lioness. This rich guide also includes the first official timeline of Tortallan events from when it became a sovereign nation to the year Aly gives birth to triplets. Part history, part spy training manual, and entirely fascinating, this beautiful guide is ideal for anyone who loves Alanna, King Jonathan, Queen Thayet, Kel, Neal, Aly, Thom, Daine, Numair, and the unforgettable world of Tortall! 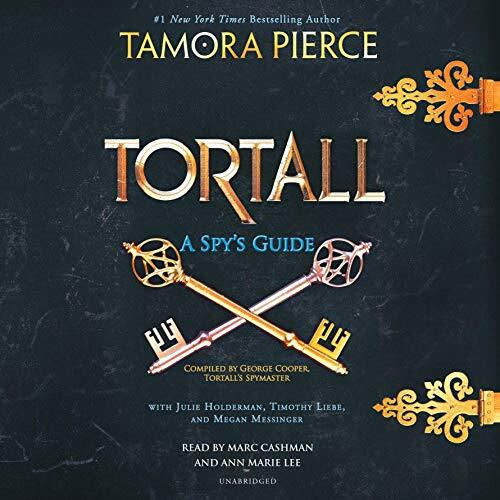 Where does Tortall: A Spy's Guide rank among all the audiobooks you’ve listened to so far? This book needs to be read, not listened to. The narrator and actors are all great, but his is a book you need to be able to go back through to cross reference dates and people. What other book might you compare Tortall: A Spy's Guide to and why? It is basically a group of short stories that go through 50 years of time. It was interesting to listen to the stories, but I would prefer being about to jump back and forth between stories (and the books from that time frame). There is a story where George's daughter saves his life. 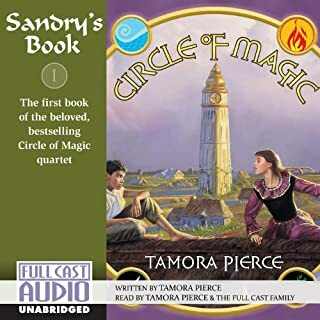 I love Tamora Pierce and all her books. I have read and/or listened to everyone one. I have purchased this book in print because I will want to reference things when re-reading the books. I was expecting a lot more from the book. It gave a lot of good back ground information on the area of the series. But I was expecting some adventure stories in it though. I enjoyed hearing the intricate weaving of the stories of Tortall. The only thing I didn't like were (as I perceived them) occasional mispronunciations of names; despite that it was still worth listening to. 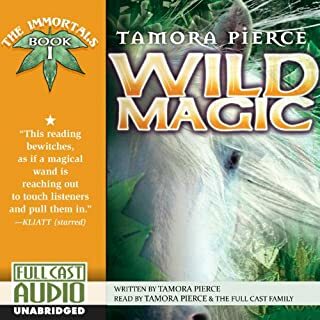 this book is great but anyone who has not read ALL of Tamora Pierce's previous books that are set in Tortall should avoid this since it gives away few of the surprises in previous books. Don't read this until you've read a the Tortall books or you'll spoil it. 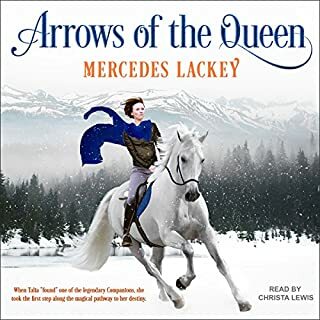 That said listening to it after is a great way to see how the books tie together and to relive and remember the magic of all the Tortall series to date. Perhaps a book which only appeals to the Tortallan universe’s faithful, this book wasn’t helped by flat, uninteresting narration by both narrators. The stories woven throughout cry out to be read with feeling and language-appropriate accents and mannerisms. 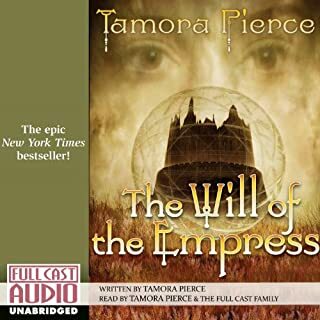 The content is interesting enough and even satisfying to devotees of Tamora Pierce’s Tortall series, but most of that is unfortunately lost in the monotony of the narration. It was not that the narrators aren’t talented, but that they seemed to be “reading” rather than “acting.” They never sounded real. Never sounded like I was listening to the characters themselves. It was the voice of the unenthusiastic anchor on the nightly news at 11. Flat. Emotionless. And with the geographically wrong accents for the dialogue. At first, I sighed over what might have been, but my resignation quickly turned to irritation and outright frustration. Too bad; it had a lot of potential, especially if you’ve waited decades for these stories to weave together parts of Pierce’s world previously only guessed or hinted at. Felt like a let down. Just not a let down if the author’s making.